This is the second in a three-part blog series on how to get your small to medium-sized business setup on Asana. In this post I’d like to outline a step by step system for moving your company to Asana. » Part One: Why You Should Run Your Business with Asana. » Part Three: Going Pro with Asana. Now that you understand the benefits of Asana and how it can help make your company more productive, it's time to get your staff using this new tool. It may sound easy, but getting your entire team setup on Asana can be a real challenge. For smaller companies the change is likely to be a lot smoother. But when you're trying to change the habits of over 20 or 30 people things get a little more interesting. In my experience, you'll have some people who love new tools and will take to Asana right away and then there will be those people who find Asana harder to adopt. Part of the reason for this is that you're not just showing people how to use a new tool – you're showing them how to be more organised. Which is why I find it's generally the less organised people who find the switch more challenging. 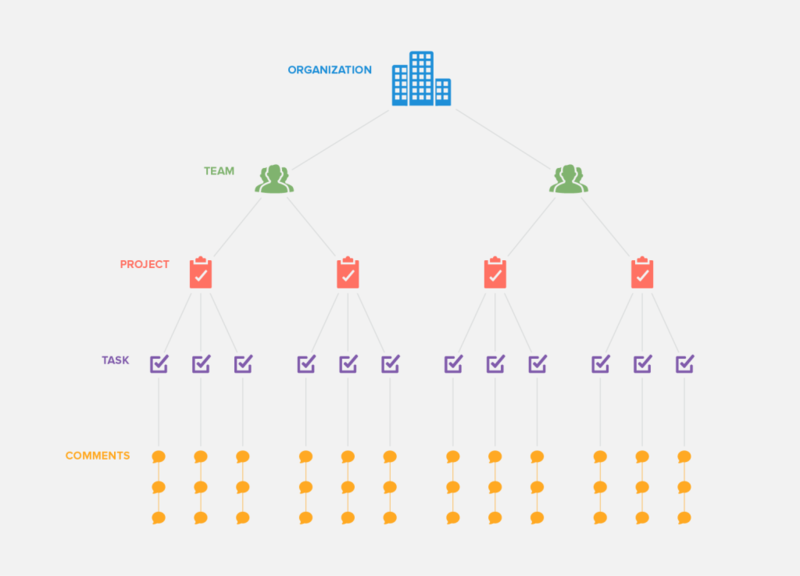 In this post I'll outline a step-by-step system for moving your team to Asana. Better yet, download my Asana project template which has all of these steps and you can tick them off as you go through them. DOWNLOAD MY "MOVE YOUR COMPANY TO ASANA" PROJECT TEMPLATE! Phase one of the Asana rollout is going to involve trialling this new tool with a “test team”. This is an important phase as it's going to allow you to test how easily people are going to adopt the new tool before you rollout to the entire company. Every organisation is different and your company's culture is going to play a big part in determining how this rollout goes. Running a trial also a great way for you to get experience with training people on how to use Asana. You need to be prepared for any questions people might have and going through the training with a small team is a great way of getting yourself ready for the company rollout. Already uses other software products like Google Drive/Sheets/Docs, Dropbox, Evernote or Slack (your entire company may use these tools as well, which is great). Is technically minded. Tech-savvy people adopt new products much quicker than technophobes. This makes developement and design teams very good candidates. Can immediately benefit from more structure around their work. Isn't too big. A team of around 5 – 10 people is perfect. Try and stay clear of teams that do very time sensitive work. For example, a customer service team needs to be responding to customer inquiries quickly and don't want to be fluffing around with Asana while you're still getting to grips with it. After you've picked which team you're going to trial Asana with, you're going to set up a new “Team” inside Asana and create some projects for them to get started with. We're going to do this before we even approach the team so that when they go to Asana for the first time they can immediately see all their work in one place. It's very intimidating if they opened a blank application and have to work it out and setup new projects all at once. We need to encourage “quick wins” so that the team can benefit and fall in love with Asana right away. Take the Marketing team for example. You could set up projects for: public relations, social media, Google Adwords, promotional campaigns, customer retention or even creative ideas. When setting up the teams projects, think about the blocks of work that the team focuses on. So for our Marketing team at Mighty Ape, we mainly focus on online advertising, so projects like “Social Media” and “Google Adwords” provide a great way for us to organise our work and delegate tasks. Once you've set up a couple of projects, use “Sections” to break up the work even further. Inside the “Social Media” project you might have sections for “Facebook”, “Twitter”, “Google+” and so on. These sections provide another level of organisation which allows your team to quickly see how the work is organised. Finally, create some tasks inside the project to get the team started on. Later on we'll assign them to people so that everyone in the team has at least a couple of tasks which they'll instantly see inside their “My Tasks” view. When setting up the teams projects and tasks, you may want to talk to the team leader or department manager to identify the main bodies of work the team is currently focused on. The objective of this step is to set everything up for your team as much as you can so that when they're invited into the account they can hit the ground running and get going with Asana straight away. Explain what Asana is. I like to describe it as a “to-do list for the entire company”. You can illustrate the diagram below to explain how everything is set up. Explain the benefits of using Asana. This tool is going to organise their work, streamline communication and allow them to get more done. Explain that the aim is to move internal communication from email into Asana. Make this clear from the get-go. Explain that it's going to give them more transparency over what's going on inside the company. People hate being left in the dark, so they'll love this part. Explain that cool companies like Dropbox, Uber and Airbnb are using this tool. This step is all about building excitement. You want your team thinking: “Okay this sounds cool, when can we see it?”. If you simply invited them to the account with no warning they're just going to be thinking: “What's this? Ugh, I'm too busy at the moment. Pass…”. Now it's time to invite your team into the account. If you all have the same company email address this is super easy. Asana will recognise that you all have the @company.com email address and automatically add the users into your account. If they have a different email address they get added as guests. Add new team members by inviting them to the relevant team. Alternatively you can add new users from the top menu, or from the projects themselves. You can then assign the individual tasks to the appropriate people. 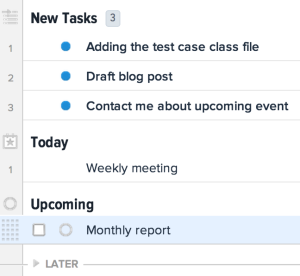 At this point you may be asking why you can only assign a task to one person – This is a deliberate feature of Asana. With only one assignee there's no confusion over who's doing what. Remember, you can always use subtasks to break up the work even further. Now you can sit back and let your team get acquainted with Asana. But don't get too comfortable, make sure you're available to answer any questions they might have (“How do I set up recurring tasks?” seems to be a common one). TIP: Why not have a team member create a “Questions” project which everyone can subscribe to. That way they can assign new questions to you and you can answer them in the comments, tag appropriate people and mark it as complete when you're done. Encourage your team to set up new tasks and projects if they wish. People may find it weird that their assigning tasks to each other or to their superiors. Let them know that this is okay and encourage them to get all their thoughts and ideas organised into projects. As your team uses Asana make sure you're keeping a list of common questions that they're asking (create another project inside Asana). Encourage them to give feedback and you can gauge how the rest of the company is going to adopt it. If your team likes Asana, that's awesome! They'll become advocates of this new tool and will help build excitement and spread the word when your roll it out to the rest of your company. If your team doesn't like Asana, find out why. Often people are hesitant about change and just need a little more time. So be patient and help them work through any problems. Explain the benefits and actually show them how it's making their work life easier. If they REALLY don't like Asana, you may have to make a decision about whether you ask the team to continue using the tool or not. Perhaps it isn't right for them and that's not to say other teams won't enjoy using it. Now that you've successfully trained one team on how to use Asana, it's time to roll it out to the entire company. Or, if that sounds a little intimidating, feel free to continuing rolling out team by team, there's nothing wrong with that. 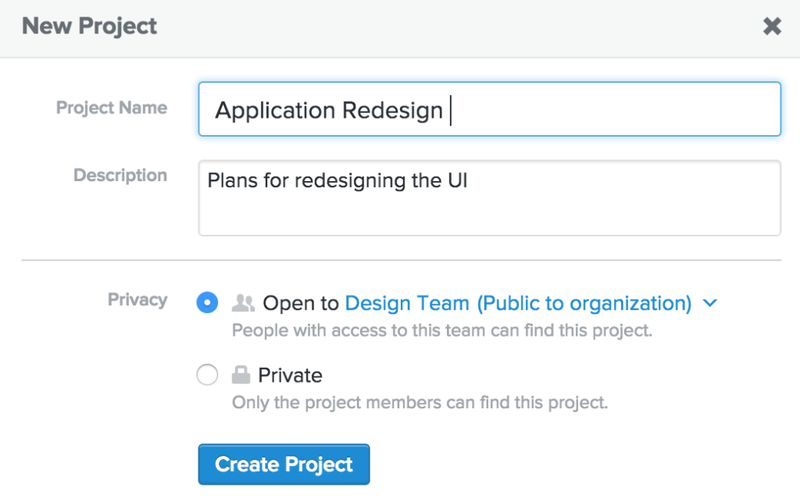 Create new teams in Asana for each of the departments at your company. You can also think about adding people to multiple teams if you need to. A senior manager might be part of “Marketing” and “Operations”. Try not to go overboard on the number of teams you create. Obviously don't hold back and create as many as you feel you need – just be aware that the more teams you create, the harder it can be to find projects later on. More teams can fragment the work. As your company starts using Asana you may find they create new teams of their own. If for example a manager and employee want to manage some one-on-one work, encourage them to create a project for themselves instead. When you've got your new teams in place, setup a few projects for each of the team. Similar to when you created the projects for your test team, you want to make sure each team has some projects they can get started with. Don't worry about covering everything they're working on. They'll have fun setting up new projects for themselves later. If you need to, consult team leaders and department managers to set up these projects. This is also a great way of getting them involved, which as you'll see, is important in the next step. Gather all the team leaders together and explain what Asana is and how it's already helped your test team. This trial is going to provide you with excellent ammo when it comes to convincing the team leaders to give Asana a go. TIP: Why not invite someone from the test team to come and speak about how great Asana is. At this point you should also take them through the basics of Asana. Make sure they're comfortable with how it's all structured, how to create projects, tasks and assign work. Team leaders are going to play a vital role when it comes to educating the rest of the company on how to use Asana. They'll be able to take some of the questions off of you and manage the projects and tasks within their teams. Now you can tease everyone else with some comments on how good Asana is. If your office is anything like ours, word will have gotten out and people may already be talking about it. Explain the benefits of using Asana. You can give examples from your test team. Explain that the aim is to move internal communication from email into Asana. Again, make this VERY clear. Explain that it's going to give them more transparency over what's going on inside the company. Making sure everyone is clear on why you're using Asana and how it's going to help them is super important. You want to make sure everyone is trying it out so that no one gets left behind. This is it – crunch time! Now you (or your team leaders) can add employees to each team. Assign tasks to the appropriate people and give then some time to explore Asana. As you invite people, make sure nobody has any issues logging in and accessing their account. Turn off email alerts so you don't get duplicate notifications inside Asana and your email Inbox. Instead keep communication inside Asana. Tell people to keep Asana open on their computer during the day and to keep an eye on the Inbox counter. This needs to be activated from account settings. Keep your “My Tasks” section organised. Mark anything that's not due for a while for “Later”. Keep anything that's due within a week in “Upcoming” and stuff that's due today in “Today” (pretty simple right). As the company gets comfortable with Asana, be there to answer questions as needed. As you did before, make sure everyone is aware that they can assign tasks to one another and that they should keep an eye on their inbox for new comments, task allocations and hearts. Encourage people to have fun with Asana. Tell them to turn on the “Celebrations” and “Tab + B” hacks. They'll love it! You'll find that some team members really stand out and shine. They'll take to Asana really quickly and help others adopt the new tool. You can also ask your test team members to help other employees and share their tips. Not everyone is going to love Asana right away. Some people just don't like change. From experience I've seen that when you give it some time people will come to love this new tool and will ask how they got anything done without it. As everyone uses this new tool, people are forced to use it as well – otherwise they fall behind everyone else. It sounds harsh but by forcing people to use Asana they will come to enjoy it. Some people will want to resort to email to get stuff done. As a company you're going to need to make a decision whether you're going to keep communication in Asana or continue with email (I highly advice you use Asana). When you have some people using email and others using Asana this can get really annoying. Instead, ask people to use Asana whenever possible. If there's someone in particular that keeps using email, try this little trick – forward their email to x@mail.asana.com and add them as a follower to the task that gets created. They'll see their email inside Asana and will be notified when you complete it. This is a really good way of bring people back into the app. As new employees join the company, make sure you (or someone in their team) gives them a lesson on how to use Asana. You'll want to bring them up to speed right away. Invite them to relevant teams and assign them a few tasks. You may even want to create a Project template for them to work on when they arrive. This could be an on boarding project which walks them through other elements of the company and introduces them to keep people. Review health and safety guidelines. In my next blog post I'll outline some of the common problems that people come across when using Asana and how to avoid them. I'll also give you some juicy tips on how to become an Asana pro!